Driving is a thing the majority of us will have to do at some point in our lives. The majority of us will start our driving career something far removed from the luxury rides category. Rather, we opt for a banger, like a Volkswagen Lupo. Or a 10 year old Peugeot where you need to keep the heating on to stop the engine from exploding. After a couple of years of putting up with your first “Princess”, you will realise she is damaged goods. She served you well but she’d been around the block one two many times! You would turn up to parties with her and feel slightly ashamed. You no longer laugh about having to keep your heating on full. Your face has a heat rash, and it hurts to smile. So you move on, enough is enough, it worked in your teenage years, but now you need something a bit more classy, perhaps you will broaden your horizon, cast aside that English Vauxhall Agila you loved in your teens and opt for a foreigner this time, a German maybe. Or maybe you’ve won the lottery and you go for a luxurious beast that makes you feel godly. My all time favourite luxury car is the Rolls Royce Corniche, particularly the ones from around 1990, however these cars are timeless so even though you will be buying second hand, you can expect to spend the best part of £100,000. They’re expensive sure, but can you really put a price on that feeling? Luxury Rides: I’d get myself a Jaguar XK! Whilst I love the Corniche, it is a bit dated, I would be all for getting a old car, but I think I have been spoilt by 21st century technology, I reckon I would go for a Jag myself, maybe a Jaguar XK. There are plenty of great cars available in the luxury car market, but they don’t half come at a price! For your Bentleys and Rolls Royces you’re looking at £300,000. 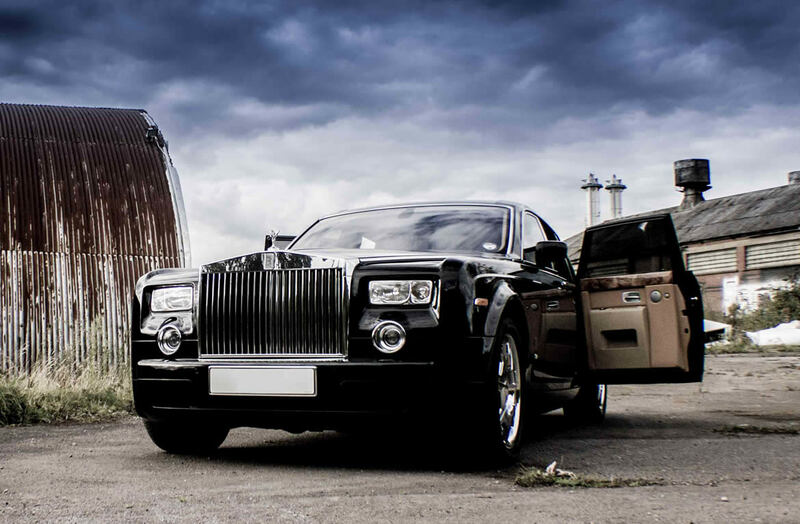 A 10 year old second hand Rolls Royce Phantom would cost you over £100,000! That’s not even reached the classic stage yet, it’s just a bit old. I was friends with a guy from a garage that was selling a second hand Rolls Royce Phantom, he let me sit in it and I thought I’d walked into a living room by mistake. Any man should aspire to drive a luxury rides like this! Whether or not you get to is an entirely different matter and besides the point. Sure you probably wont ever own one, and you will most likely drive the equivalent of a second hand Ford Fusion, sure it’s practical and it gets you from A to B, but when I buy a lad mag, I don’t want to look at pictures of girls who look like my wife, I want to look at Kelly Brook.